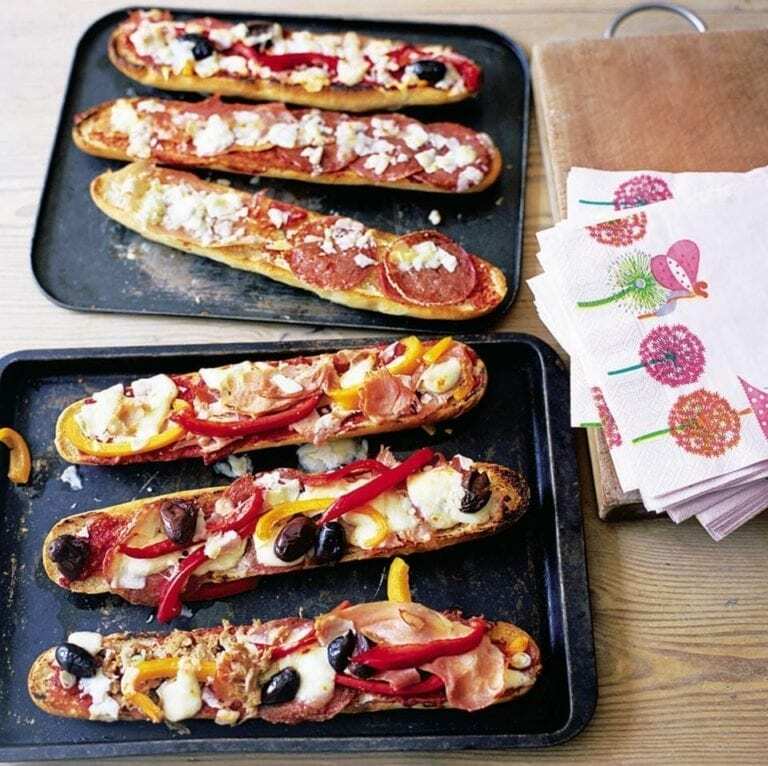 This baguette pizza recipe is one to keep the kids occupied, let them choose their own toppings and get creative in the kitchen. Preheat the oven to 220°C/fan200°C/gas 7. Bake the baguettes for 12-15 min or until cooked. Halve each baguette lengthways, place on a baking tray and put back into the oven for a further 5 min to crisp up. While still warm, rub each baguette half with the cut side of the garlic. Spread each piece with 1 tablespoon of purée, followed by 2 tablespoons of passata. Let the children help themselves to the different toppings to create their own combinations. Put the pizzas on the baking tray and bake for 6-8 min, until the cheese is melted and golden.